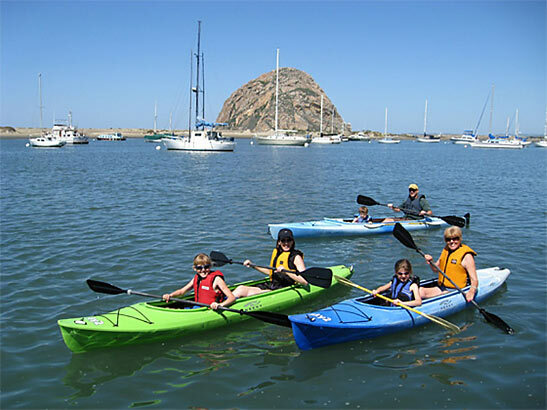 ts hard to call Morro Bay a hidden gem while there is a 576 ft-tall rock mountain sitting in its harbor. 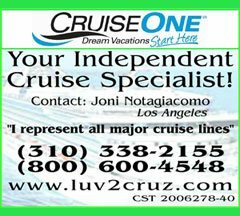 But thats just what this small seaside town along Californias Central Coast is; it's a charming hideaway halfway between LA and San Francisco, with tons of laid back charm and beautiful scenery. A friend and I recently escaped to Morro Bay for a couple memorable nights in which we discovered a cozy boutique hotel, gourmet restaurants, unspoiled beaches and a plethora of year-round ocean and land activities. The getaway began at family-owned Anderson Inn, a contemporary boutique hotel on the waterfront, overlooking the bay and the iconic rock. Inspired by the natural elements of sand, sea, and sky, the inn is elegant, yet unpretentious, with a comfortable, casual feel. Our colorful bay-front room boasted vaulted wood ceilings, granite vanities, a comfy queen bed, free high-speed Internet, coffee maker and refrigerator, a flat screen television, a large, lighted Jacuzzi tub, glass shower, a fireplace, and our own private balcony directly above the water, overlooking the majestic bay and Morro Rock. Because of its atmosphere, the room is easily one of the best that Ive experienced on the Central Coast. A highlight of our stay at Anderson Inn was sitting on the balcony watching playful harbor seals swim below us, while small sail boats, kayakers and paddle boarders drifted past, beneath the shadow of the great rock. When we werent enjoying the scenery from our balcony, we were exploring it on foot, as Morro Bay is a perfect walking town. 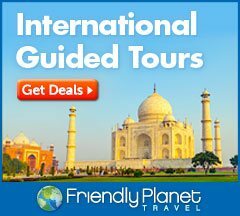 For our first stop, we strolled along the Embarcadero to get a closer look at the famous giant boulder guarding the harbor. Like the Golden Gate Bridge or Hearst Castle, 576-ft-tall Morro Rock is a California icon. On the way to the rock we past stopped for breakfast at Dorn's Breakers Cafe. 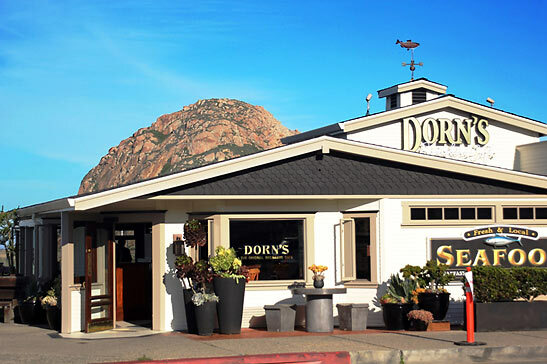 A local institution since 1942, Dorn's serves fresh surf and turf, along with made-from-scratch breakfast and lunch favorites  all with an incredible bay views. For our breakfast we sat on the patio overlooking the harbor and enjoyed smoked salmon with cream cheese and bagels; and buttermilk pancakes, with blueberries and a side of bacon and potatoes. With our bellies full we made the short walk to the rock, where we found gorgeous Morro Strand State Beach; and a group of sea otters floating on their backs and rolling in the water near shore. Next to the rock is the entrance to Morro Bay, a safe harbor, where small boats enter for protection, drop anchor, and help create the town's idyllic, seaside panorama. 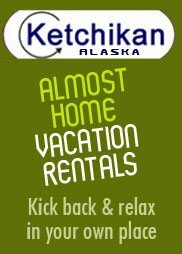 After relaxing at the beach we walked to Kayak Horizons, where we rented kayaks and explored 15 miles of protected waters, including an estuary and bird sanctuary. 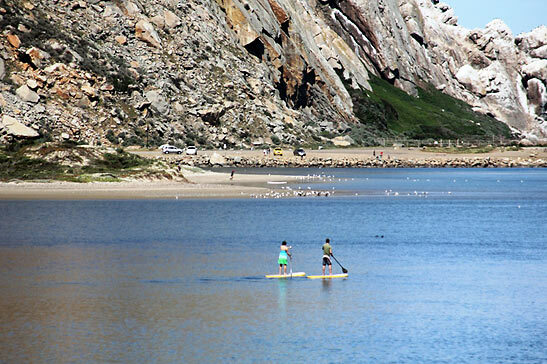 Morro Bay is composed of 2,300 acres of mud flats, eelgrass beds, tidal wetlands and open water. Two dozen threatened or endanger species live in the area including the Peregrine Falcon, Brandt Goose, Brown Pelican, Sea Otter and Snowy Plovers. 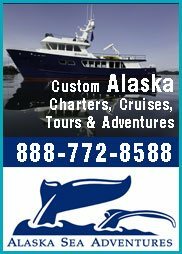 The area is also a major West Coast wintering area for over 100 species of birds and is home to California Sea Lions and Harbor Seals. After kayaking, I took a bubble bath at Anderson Inn and then walked to dinner at Windows on the Water. 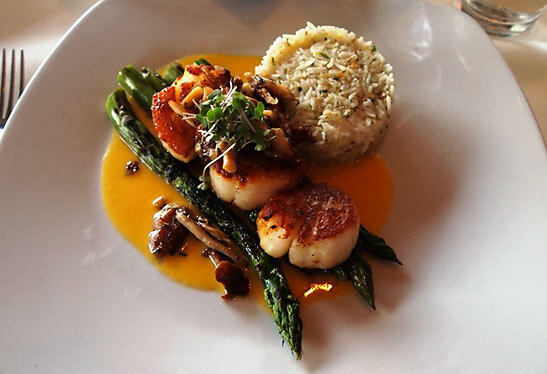 Known for its award-winning black cod and beef filet, Windows on the Water serves locally raised livestock, seafood and organically grown produce, along with an extensive California wine list. Our meal including smooth and tasty clam chowder, pan-seared scallops, with citrus rice and asparagus; and succulent Australian lamb T-bone with herb potatoes and kale. It also came with a memorable ocean-front view through the restaurant's large bay windows. The next morning I awoke to the gentle sound of water splashing outside my room. It was a symphony of nature played by harbor seals, the sea breeze and small sail boats drifting past my ocean front room. After enjoying the morning concert on the balcony, we strolled down the Embarcadero and discovered a retired U.S. Navy rescue submarine on the side of the road. Launched in the early 1970s, the 50-ft-long Avalon sub was designed to rescue crew members of downed submarines. Its one of two deep submergence rescue vehicles built by the United States. 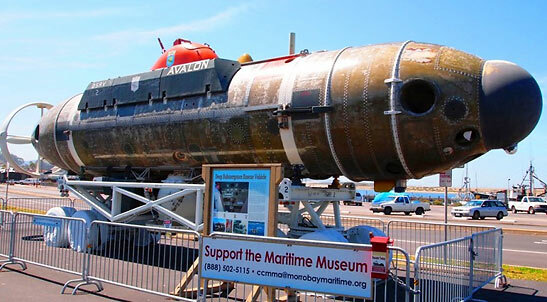 The vessel was brought to Morro Bay in 2012 with help from the nearby Central Coast Maritime Museum Association, which preserves California maritime history, and explores the science and technology of the sea. Back at the hotel, we loaded our ice chest into my Jeep and headed to Montaña De Oro, one of California's most beautiful state parks. Boasting 8,000 acres of rugged cliffs, secluded sandy beaches, coastal plains, streams, canyons, and hills, the park is only a few miles from Morro Bay, but is very far from civilization. Spanish for Mountain of Gold, Montaña De Oro gets its name from the abundance of wildflowers in spring, when it is covered by carpets of fiddleneck and California poppy on the slopes that sweep back from the sea, and California buttercups decorating the mountain sides. While touring the park, we discovered Spooner's Cove, a gorgeous, hidden beach with wave-cut terraces, cliffs, tide pools, colorful rocks made of sea glass, and lots of soft sand to relax on. From the bluffs above Spooner's Cove we could see park's most prominent geologic feature, 1,347-ft-tall Valencia Peak. We could also see an aerial view of the four-mile-long Morro bay sandspit, separating Morro Bay from the Pacific Ocean. 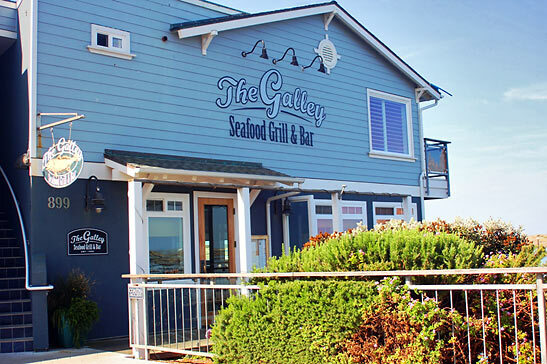 Back in Morro Bay we had dinner at The Galley Seafood Bar & Grill. Located on the bottom floor of the Anderson Inn, overlooking the bay, the restaurant believes in "fresh, premium seafood is best served naked, cooked to perfection, with a selection of light sauces on the side." Our dinner began with Bloody Mary's, an incredible shrimp cocktail of Jumbo Prawns with spicy Galley cocktail sauce, and a large Caesar salad with Spanish anchovies and shaved parmesan. For the main course I had succulent and fresh, blackened local rockfish with wild rice; and my friend devoured a juicy filet mignon, wrapped in bacon, and served with grilled asparagus and grilled mashed potatoes. For dessert we split a mocha ice cream pie, with fudge, whipped cream and macadamia nuts. 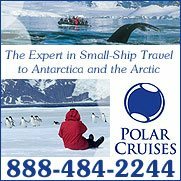 For more information on visiting Morro Bay, visit www.morrobay.org. For more information on staying at Anderson Inn, visit: www.andersoninnmorrobay.com.